Digital Fashion Pro is more than just a software. It is a Complete Fashion Designing System of Hundred’s of Customizable Apparel Templates, Digital Fabrics, Model Poses, Garment Related Accessory Templates & Fashion Design Training Course Wrapped In One. The Digital Fashion Pro System Empowers All Users to be able to create professional digital fashion sketches regardless of prior skill or drawing ability practically right out of the box. Plus there are some Digital Fashion Pro Packages that can even help you with launching your own fashion brand + contact list of global apparel manufacturers. How DFP Works Is Super Simple: Just Order – We Ship – You Install – Follow Step by Step Training – Open A Template – Add Your Design / Modify It – Add Digital Fabric / Color – Save It – Start a New Design. It is that simple! Design Menswear, Womenswear, Activewear, High Fashion, Couture, Ready-To-Wear, Streetwear, Classic, Wearable Tech, Kids & Baby Clothing & More! Templates & Style Options For:. T-shirts, Pants, Jeans, Shorts, Polo’s, Tanks, Leggings, Dresses, Skirts, Tops, Blouses, Socks, Button Down Shirts, Coats, Jackets, Hoodies, Vest, Sweat Shirts, Rompers, Shoes, Handbags, Yoga Pants, Swimwear, Heels, Hats, Underwear, Tunics, Coats, Jackets, Sweaters, Jogging Suits, Sleep Wear, Lingerie, Bras, Suits & More! The vast majority of DFP Templates are 100% customizable – meaning you can fully alter them, modify them etc. to easily create your own vision. You are never just stuck with a template. 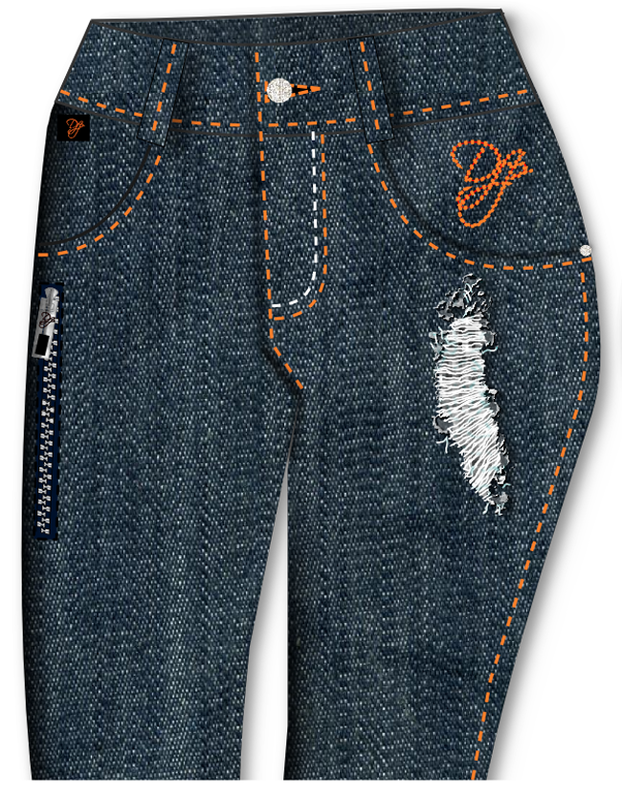 You can add stitching effects, rips, abrasions, buttons, tags etc. Easily go from template to fashion masterpiece with a few clicks. + You Will Love Designing With Real Digital Fabrics & Textiles! 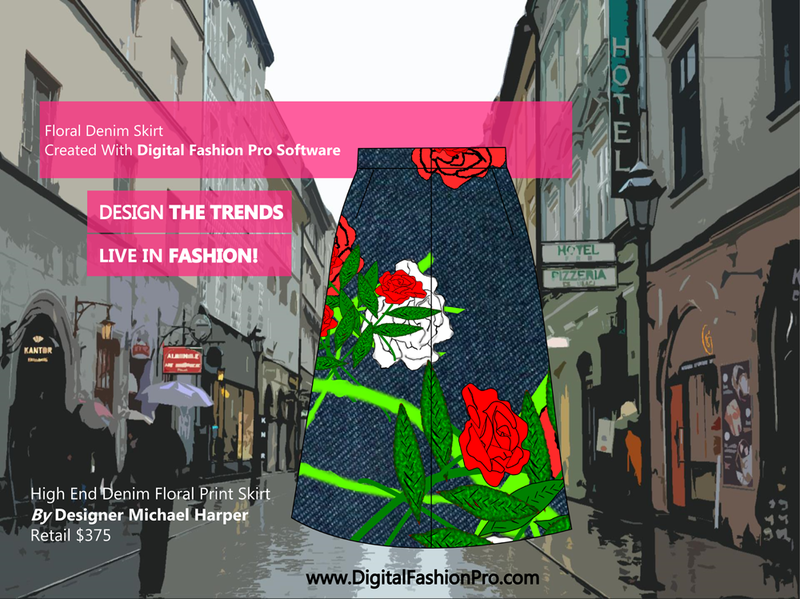 As a trusted brand since 2004, Digital Fashion Pro Clothing Design Software is used worldwide by countless clothing lines, fashion labels, industry fashion designers, costume designers, aspiring designers & true beginners. It is taught in over 300+ Fashion Design CTE / FCS Classes on The High School and College Level. 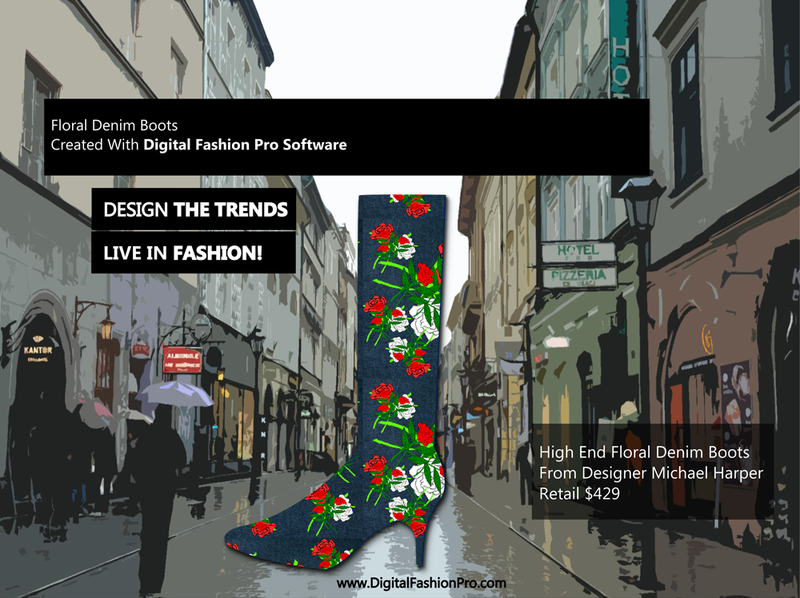 Digital Fashion Pro CAD System has also been used by Designers From Ed Hardy, Christian Audigier, Nicky Hilton, Billionaire Mafia, Calvin Klein, Mendicino Designs, Bill Blass, Ralph Lauren and many more. Today Is Your Time to Start Designing! .20 FEATURES OUR CLIENTS LOVE! #1 Drawing Skills Not Needed! 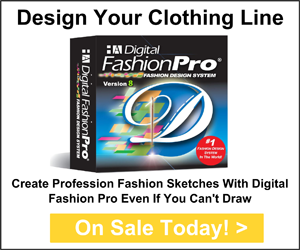 Makes Fashion Design Easy For Everyone! #2 Super Easy to Learn & Use! Beginner Friendly! Create Professional Sketches & Designs Without Having to Draw! #1 Your Time Is Limited? Quickly Learn DFP On Your Own Schedule – Design Within Minutes! The Digital Fashion Pro System Removes All Barriers So You Can Focus On Creating Your Label! Apparel Manufacturers Strongly Prefer Clean Digital / Computer Generated Sketches Over Hand Drawn Sketches. Digital clothing sketches & designs are required throughout the manufacturing process. Digital Designs gives your label a professional look when working with apparel manufacturers. It is industry standard that fashion designers & labels convert their hand drawn sketches into digital renditions prior to approaching the manufacturing stage. Plus digital sketches are needed for tech packs. Regular digital fashion sketches, digital technical sketches & garment measurements are the foundation of getting patterns made, samples made or mass production of your designs. Digital Sketches also help manufacturers make your design with greater accuracy because they can see how your finished garment is suppose to look. This means you will save money on samples + increase product quality. ORDER DIGITAL FASHION PRO TODAY! TODAY IS LAST DAY TO SAVE UP TO 50% Off! P.S. DRAWING SKILLS NOT REQUIRED TO USE! We Ship Worldwide. Orders Ship Out 2 to 3 Business Days After Order. 1 Item / One Day Super Sale Today! 4 Items / One Day Super Sale Today! 6 Items / One Day Super Sale Today! 10 Items / One Day Super Sale Today! 18 Items / One Day Super Sale Today! 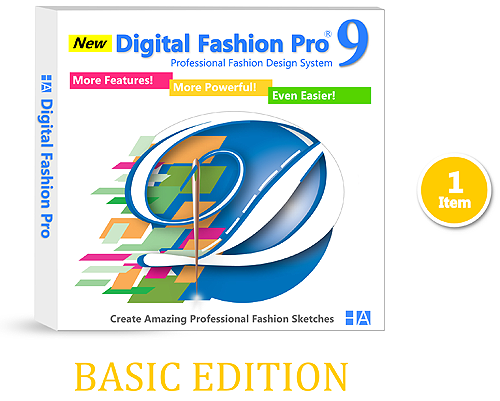 1) Order: Digital Fashion Pro V9 Basic – 2019 Edition – 1 Item. On Sale Right Now For Just $199 During Our Super 1 Day Sale! Regularly $399. Save $200! V9 Basic Includes These Awesome Features:. 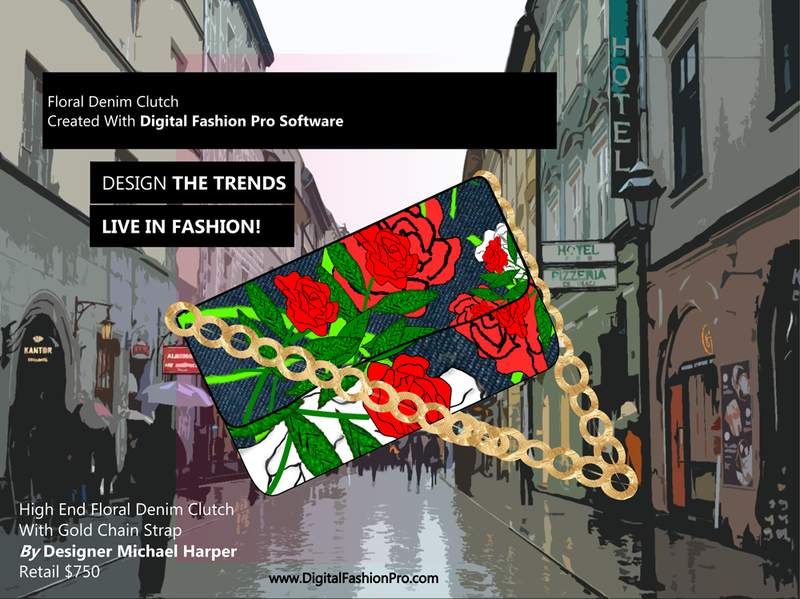 2) Buy: Digital Fashion Pro V9 Business Class 2019 Edition – 4 Items! Get The Basic Version + 3 Upgrades! On Sale Today For Just $249 During Our Super 1 Day Sale! Regular Price $574. Expand The Styles You Can Design With The Business Class Edition! Get All The Basic V9 Edition Features: Templates for Jeans, T-shirts, Pants, Shorts, Polos, Tank Tops, 2 T-Shape Model Poses, 105 Digital Fabrics, Step by Step Training + Ability to Design Dresses, Skirts, Hoodies, Coats, Jackets, Sportswear, Sweaters, Tops, Button Downs, Swimwear, Baby Clothing + 1400 Extra Digital Fabric Files + How to Create Technical Sketches & Work With Artwork / Graphics Training. You will love designing with our Clothing Design Software! Perfect for Menswear, Womenswear, Children & Baby Apparel. On Sale For $249 Today! Order Now! 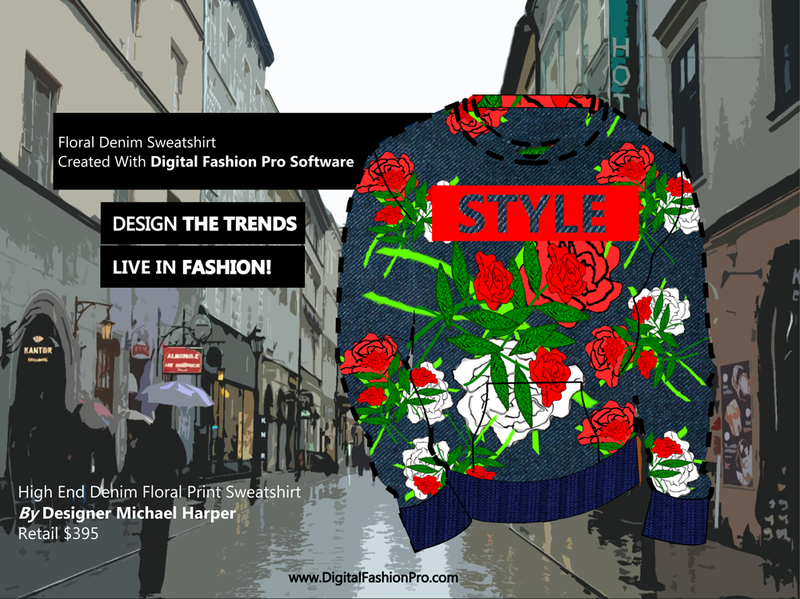 3) Buy: Digital Fashion Pro V9 Industry Edition 2019 – 6 Items! On Sale Today For Just $349 During Our Super 1 Day Sale – 50% Off Regular Price! Regular Price $824. Get All The Business Class Edition Features + Shoes, Sneakers, Heels, Boots, Sandals, Handbags, Hats, Denim Jean Effects, Wash Simulations, Clothing Rips, Abrasions Templates. 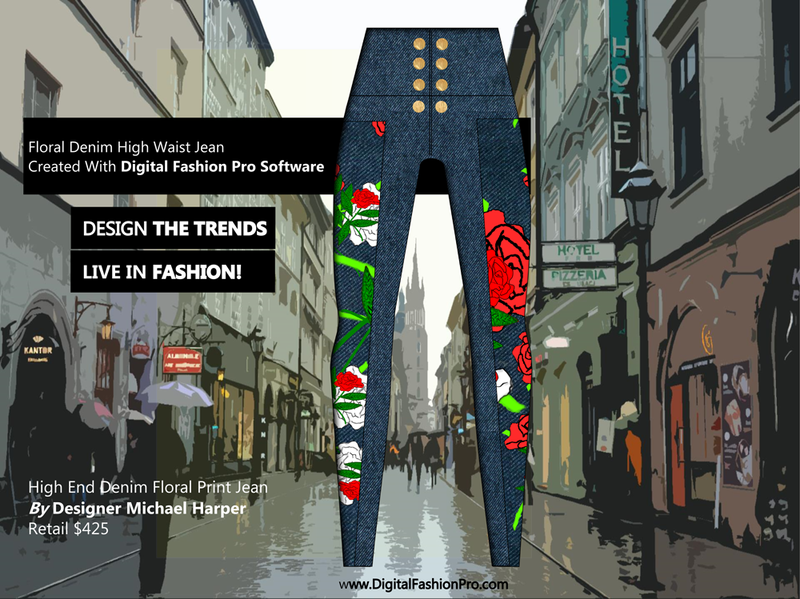 You will love designing with Digital Fashion Pro Industry Edition Clothing Design Software! Perfect for Menswear, Womenswear, Children & Baby Apparel, Footwear & Accessories Markets. This Product Is Used By Fashion Labels of All Sizes, Professional Fashion Designers, Schools, Private Labels, Celebrity Designers, Clothing Line Start-Ups & Aspiring Fashion Designers Worldwide. 4. Digital Fabric Library Upgrade ($125 Value) – Get 1400 more Digital Fabric Swatches Like Leather, Denim, Silk, Knits, Prints, Cotton, Suede, Rhinestones, Metals, Camo, Plaid, Thermal, Wool, Fur, Snakeskin, Animal Prints, Velour & More. + You can even add your own fabrics, prints & artwork. On Sale For $349 Today! Order Now! 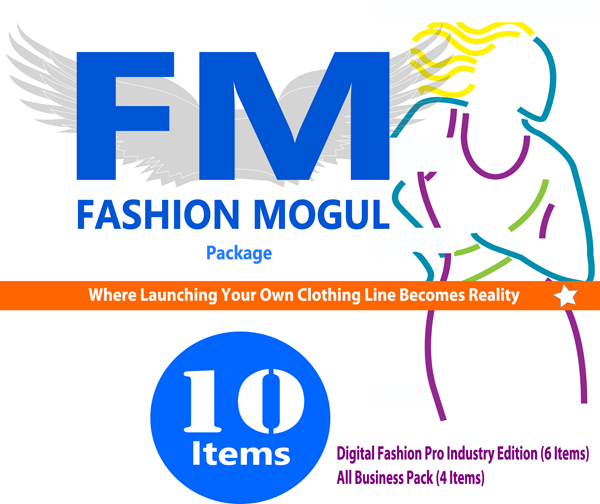 4) Buy: The Fashion Mogul Clothing Line Start-Up Kit 2019 Edition! Includes Digital Fashion Pro Industry Edition + How To Start a Clothing Line Business Kit – The Total Solution – Everything You Need to Build, Design, Launch & Grow Your Fashion Brand! Fashion Business / Clothing Line Entrepreneur Essentials: Get Tools to Help You Start Your Line, Design It, Get It Made & In Stores! Step by Step Clothing Start-Up Business Guide + Software to Design Your Line + 500 Manufacturing Contacts – All-In-One Complete Package! On Sale Today For $475 During Our Super 1 Day Sale! Save Over 50% Off Regular Price! Don’t Miss This Super Deal! Perfect for Menswear, Women’s Wear, Children & Baby Apparel, Footwear & Accessories Markets. 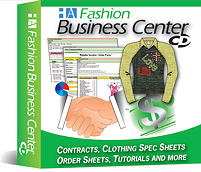 Includes DFP Industry Edition Fashion Design Software So That You Can Design Your Clothing. + You Get Fashion Business Tools to Help You Launch Your Line Effectively! + List Of 500 Global Apparel Manufacturers to Help You Find Manufacturers For Your Clothing Line! List has manufacturers from over 15 countries including China, Hong Kong, USA, Australia, UK, Canada, India & More! You can use this list to get your clothing manufactured in small quantities at competitive prices, sample making, pattern making services & more. This complete package walks you through starting your line, the tools to design it, getting it made & in stores! Get proven tips / key information on how to make money with your own clothing line & more! This package covers the true fundamentals & insider insight on launching a fashion label from the ground up from a true beginner’s perspective on a small budget. 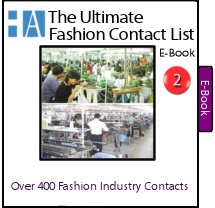 Complete Guide to Fashion Business Practices, Marketing Your Brand, Sourcing, Sampling & Production, Packaging, Shipping, Warehousing, Wholesaling, Retailing, Working With Sales Reps, Pricing and More! Designing Your Line: Get All The Basic V9, Business Class & Industry Edition Features! Templates for Jeans, T-shirts, Pants, Shorts, Polos, Tank Tops, 2 T-Shape Model Poses, Step by Step Training + Ability to Design Dresses, Skirts, Hoodies, Coats, Jackets, Sportswear, Sweaters, Tops, Button Downs, Swimwear, Shoes, Handbags, Designer Denim, Baby Clothing + 1400 Extra Digital Fabric Files + How to Create Technical Sketches & Work With Artwork / Graphics Training + Fabric Pack 12F.. Note: When purchasing this package – 10 items (USB with 9 items on it + Official Step by Step Guide to Starting a Clothing Line Book) will come in the mail to you. On Sale For $475 Today! Order Now!. 5) Buy: Go Big With The Style Blast Suite – 2019 Edition – 18 Items! Design Over 1,000 Styles! Super Sale Price: On Sale Today For $500! Start Your Clothing Line Today Utilizing This Empowering Package! + Artwork For Your Designs: One of the best upgrades in this Suite is the Mega Vector Art Upgrade. You get over 200 files of royalty-free Vector Art to incorporate Into Your Designs. Plus you can customize / alter / change any of the artwork. You can group them together & more! This item sales for $150 by itself and you get it free in the Style Blast Suite. Regular Price When Each Item is Totaled Separately: $1624. Don’t miss this incredible deal today! Sale price & offers are subject to change or end without notice. Super 1 Day Sale Price: $500 Today! Order Right Now to Save Over 60% Off! Note: When purchasing this package – 18 items (USB with 10 items on it + Official Step by Step Guide to Starting a Clothing Line Book) will come in the mail to you. The other 7 Electronic items will be sent to you via email download after product registration / verification. Product Ships From The USA. Could you be the next Dior, Diane von Furstenberg, Christain Louboutin, Under Armour, Sean John, Marc Jacobs, Tim Ford, Vera Wang, Michael Kors, Stella McCarthey, Tracy Reese or Tommy Hilfiger? Ready to Take Your Style to the Runways? Have Your Line Sold In Stores? Celebrity Clients Wearing Your Line? In the words of Walt Disney – “All our dreams can come true–if we have the courage to pursue them.” We know that getting started and knowing where to start is often the hardest part. Another issue could be that you can’t draw. We can help you with all these things & much more! Since 2004, we have been helping beginners & new designers launch their lines & fashion careers. Our mission has and will always be to Inspire, Educate & Empower. Creating your fashion vision is just a step away with The 2018 Edition of Digital Fashion Pro CAD System (DFP). Designing Clothing Has Never Been Easier! Let Digital Fashion Pro Empower You! 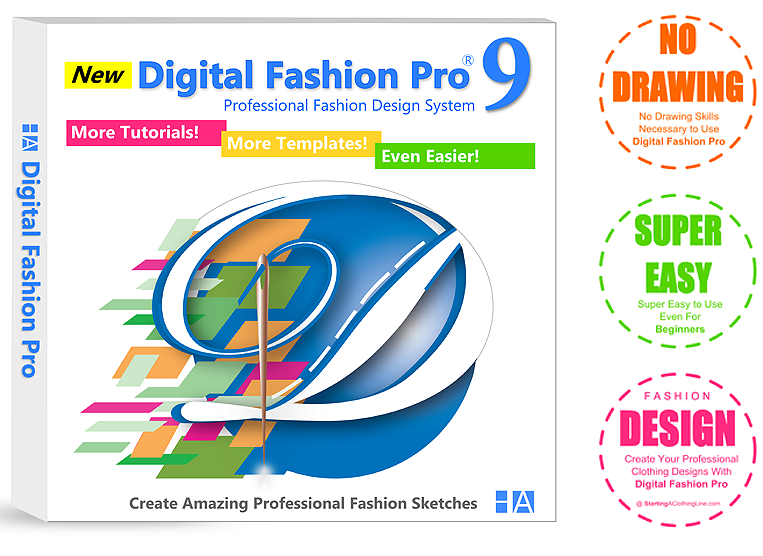 Digital Fashion Pro 9 Fashion & Clothing Design Software System is for Today’s Professional and Aspiring Designers who want a program that can design cutting edge designs without limitations at a great price. 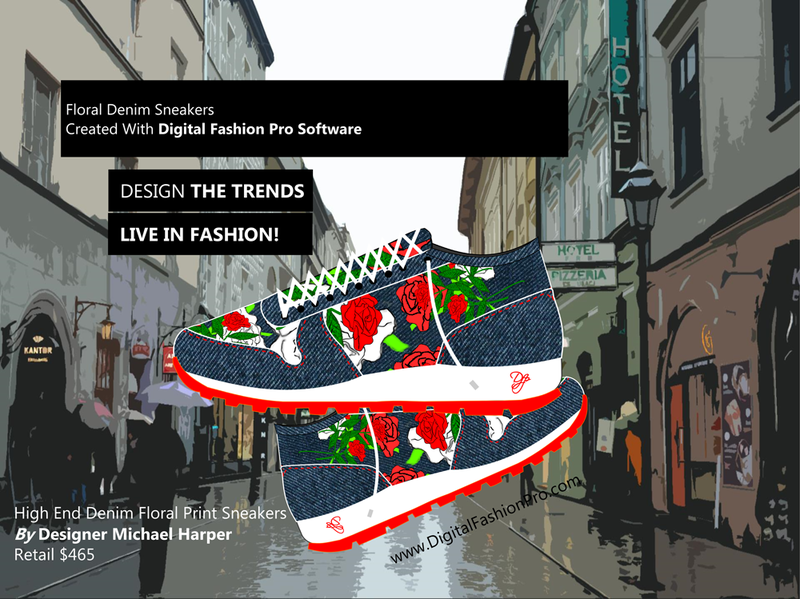 Digital Fashion Pro is a super easy design tool for creating computer-aided design (CAD) digital fashion sketches, garment design, textiles, fashion illustration, artwork and other elements related to the design of apparel, footwear and accessories. 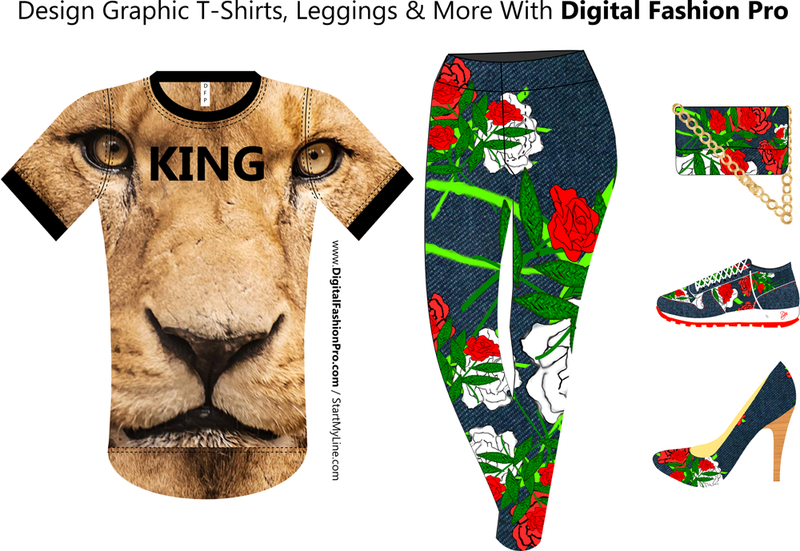 Digital Fashion Pro creates manufacturer approved industry standard digital apparel sketches which are required throughout the design / manufacturing process. 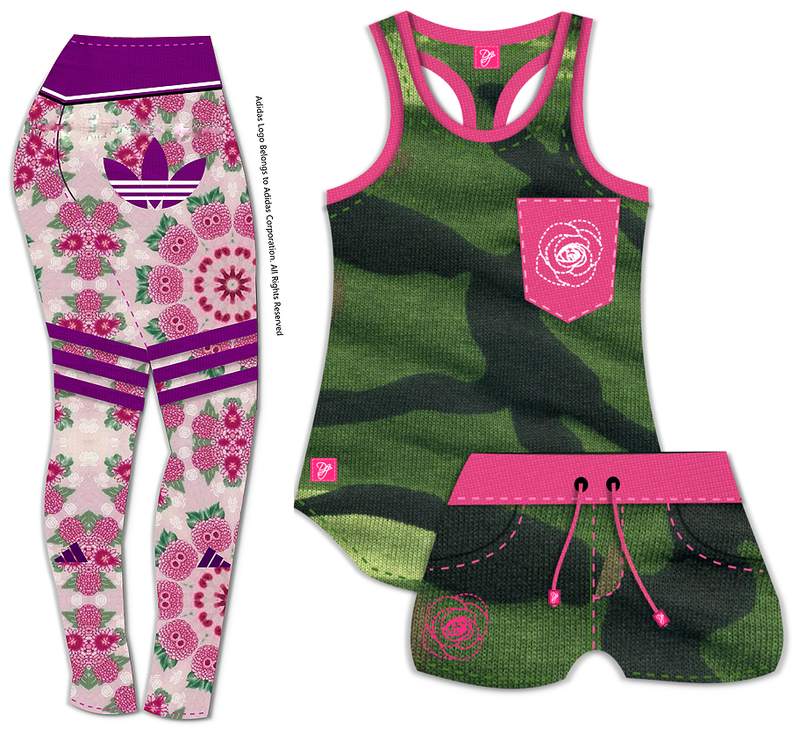 Learn how to design clothing quickly with Digital Fashion Pro Clothing Design Software! We know you want to get up and running fast which is why: DF-Pro Basic comes complete with Step by Step Training Videos which function as a Basic Design Course that teaches you how to design within the system. Plus you get an e-PDF Training Guide with screenshots that you can print out and follow. Many of our clients are designing their own clothing within days of getting the system even coming from having no prior experience or background in designing. 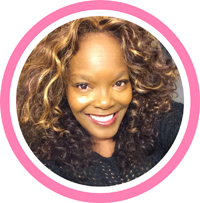 The Digital Fashion Pro System will have your designs looking fierce and fabulous! 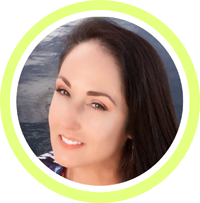 Digital Fashion Pro Templates can be customized and altered to create any vision that you may have so you’re never just stuck with a template – you have the freedom to change it and make it your own – and we teach you how! Easily go from template to fashion masterpiece with just a few clicks! 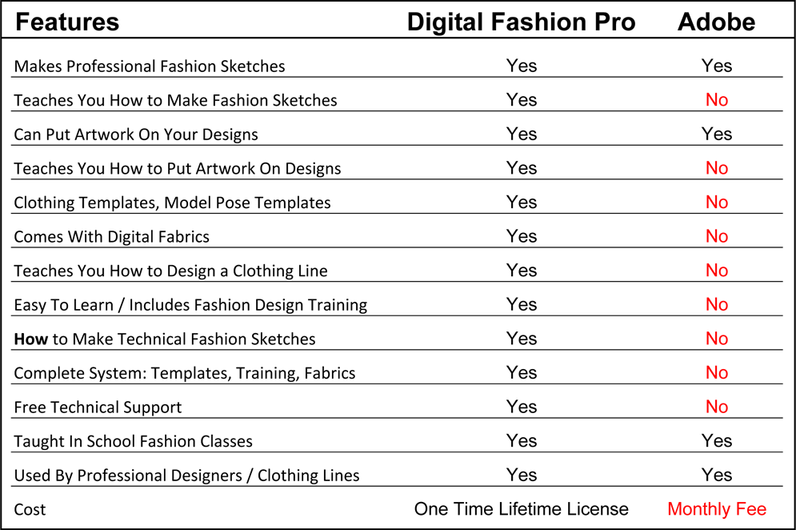 Digital Fashion Pro is not just a software program – it is a dynamic system of various components – customizable garment templates, stitch pattern templates, buttons, zippers, digital fabric swatches, digital textures, digital materials, techniques and learning tools all in one. These components then work together in harmony to help designers expound on their creativity & create incredibly realistic fashion illustrations that convey the designer’s true fashion vision. What All Can You Design? 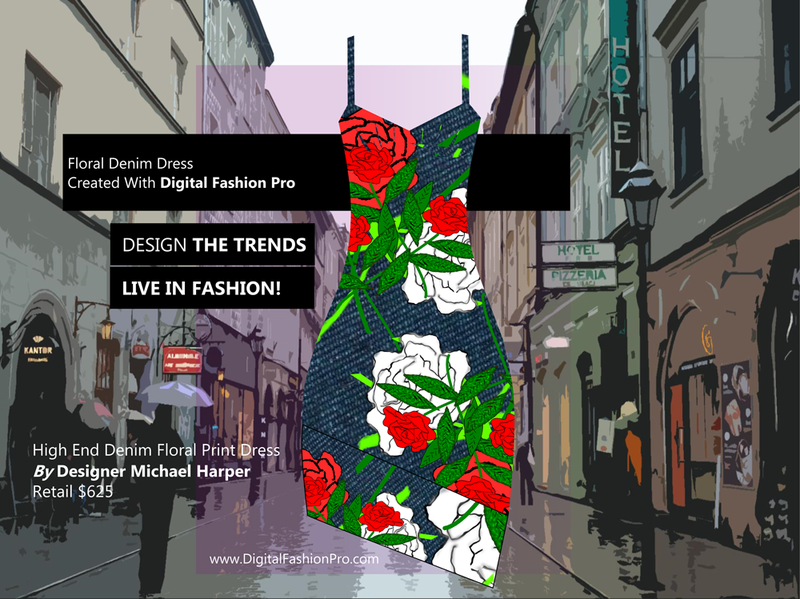 Design The Latest Fashion Trends & Any Fashion Style With Digital Fashion Pro & Optional Upgrades! Style Options & Templates For Designing: T-shirts, Pants, Jeans, Shorts, Polo’s, Tanks, Leggings, Tops, Blouses, Button Down Shirts, Dresses, Skirts, Coats, Jackets, Hoodies, Sweat Shirts, Rompers, Shoes, Handbags, Yoga Pants, Hats, Swimwear, Lingerie, Underwear, Bras, Sports Tops, Tunics, Bohemian, Jackets, Workout Gear, Vest, Cardigans, Sweaters, Jogging Suits, Sleep Wear, Business Attire, Jerseys, Sportswear, Costumes, Uniforms, Futuristic, Modern, Vintage, Red Carpet Gowns, Scarves, Eyewear, Socks, Baby / Children’s Clothing, Pajamas, Buttons, Pockets, Couture, Ready-To-Wear, Runway, Bespoke, Streetwear, Contemporary, Vintage, Modern, Wearable Tech Garments, Skater, Hangtags & More. Get Started With Your Collection Today! See more sketches & videos: Individual Upgrades | Gallery 1 | Gallery 2 | Gallery 3 | Videos. Digital Fashion Pro can be used to create technical drawings such as the sketches shown above. Technical Sketches along with design sketches (both created with precision in DF-Pro) are the foundation / first step in creating patterns and/or finished designs with superior accuracy. After creating the illustration portion of your technical pack with Digital Fashion Pro – you then can print it out or E-mail your technical sketches & measurement information (tech pack) to a professional pattern maker, seamstress or manufacturer for them to either make a pattern for you or go straight to manufacturing your garments or samples. + You get Spec Sheet Templates with Our Mogul Edition. Laying out your designs on a Style Spec Sheet is an industry requirement when approaching manufacturers professionally to make your designs. We teach you how to use Digital Fashion Pro for technical sketching in the Spec Tutorial located the Beyond the Basics Upgrade (which comes Business Class Edition or Higher). If you need garment measurement help please see The Measurement Specification Handbook located in our store. If you need a better understanding of the fashion design process / garment measurements etc. – please read this article: the fashion design process – how to send sketches to manufacturers and get your clothing made. Digital Fashion Pro can help you achieve whatever goals you have concerning your fashion design needs! It is a one stop solution! 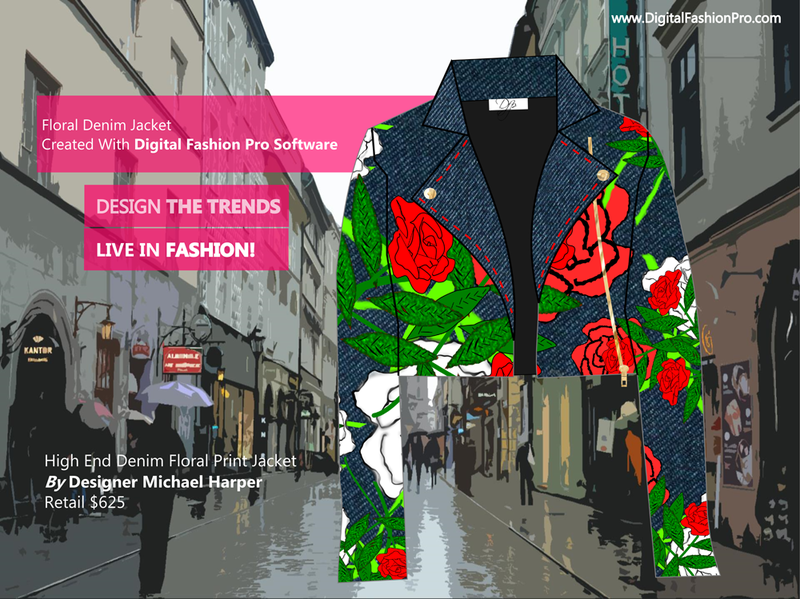 For the price and capabilities of Digital Fashion Pro – it just can’t be beat! FYI: Can’t Sew? Either learn how to or just focus on designing and hire someone else to make your clothing for you as most fashion labels do. Ordering Process: What to Expect Once You Order and Install It? * Works with Windows and Mac OS Computers & Laptops – You Can Choose the Version You Need During Checkout. 2. You receive it. Also Included Inside The Package Are Printed Step by Step Installation Instructions. 3. You Install it – along with the free graphics program that is included – on your computer. 4. You follow the included Training Videos and e-Training Guide which are like a Basic Fashion Design Course. 5. You are now ready to create your first design. 6. You open a template that is close to what you want to design after browsing through categorized folders. 7. You begin adding text, artwork, stitch lines and other design elements you learned from the training to the design. 8. You can modify the template any way that you want. Adding things, taking elements away. Example: Change sleeve opening to make it narrow or wide etc. 9. Then add color to design or add included Digital Fabric Textures or combination of the two. 10. Easily experiment with different color and fabric arrangements to create colorways that you like for the style. 12. Print your design if you like. 13. Start your next design! FYI: Your purchase is 100% tax deductible as a business expense if you already have a business on record or if you start your fashion business this year! If you don’t have a business, LLC or D.B.A. set up yet don’t fret – Our How to Start a Clothing Line Course will show you exactly how to get things set up! Therefore, you have nothing to lose but everything to gain! Kick off your fashion career today! *Disclaimer: Nike & Adidas Logos appears courtesy of Nike & Adidas Respectively – All Rights Reserved to Nike Corporation & Adidas Corp.. No other claims, endorsement or ownership claim is made to Nike or Nike Logo. Nike Logo is a registered trademark of the Adidas Corp. 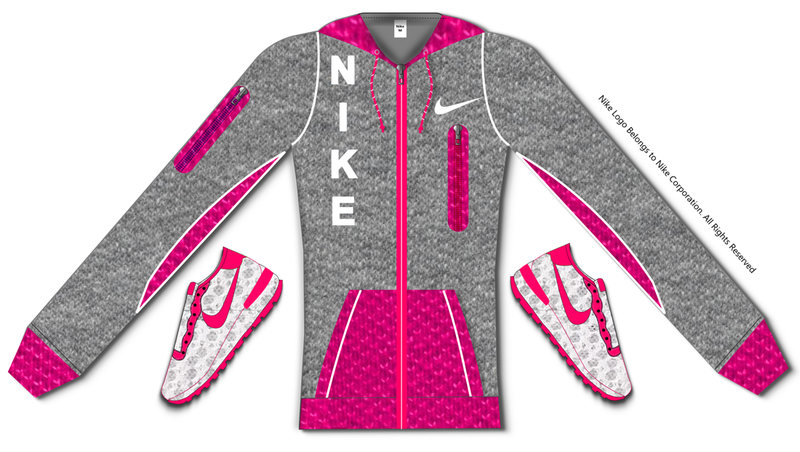 Note: Jacket design featuring Nike Logo was designed by Michael H for illustration purposes only using Digital Fashion Pro Software. The design is not for sale or for duplication. The art of fashion design and fashion illustration are required skills to be a fashion designer. According to Wikipedia, “Fashion design is the art of application of design and aesthetics or natural beauty to clothing and accessories.” Wikipedia also states that, “Fashion Illustration is the art of communicating fashion ideas in a visual form that originates with illustration, drawing and painting…It is used mainly by fashion designers to brainstorm their ideas into paper or computer, using digital software.” The true goal of fashion illustration is to be able to accurately communicate your design ideas to others (manufacturers, your team, clients, retailers, etc.) 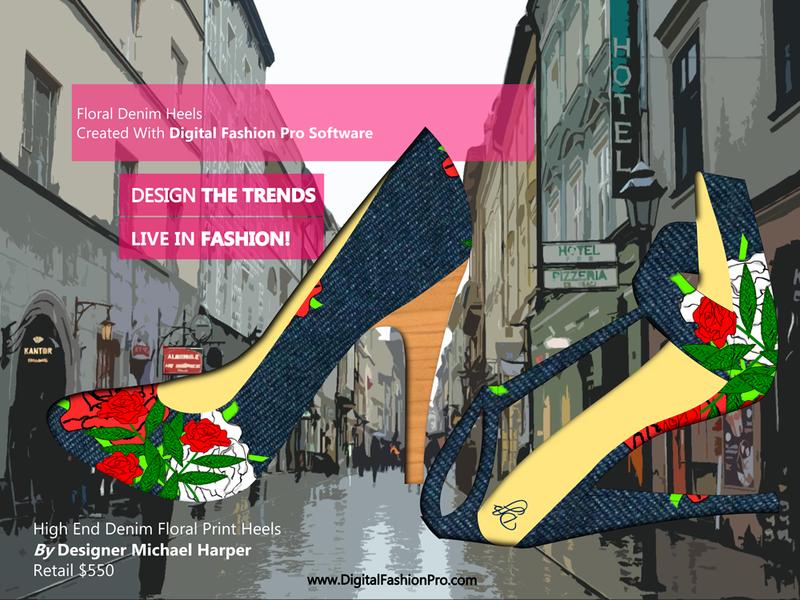 according to Michael Harper, Co-Creator of Digital Fashion Pro Fashion Design Software. Within these two broad terms there are smaller categories with each having their own objectives. For instance, fashion sketching is a part of fashion design and fashion illustration. However the goal of fashion sketching is usually garment, accessories, footwear or jewelry based. Fashion Sketch rendering brings all of the elements together that go into a specific design. These elements could be things like prints, buttons, artwork, zippers, fabrics etc. The Fashion Sketch will embody each of these design elements. Creating the artwork, print or textile design elements fall under the global category of fashion illustration and fashion design. Drawing Ability – Is It a Must? Programs like Digital Fashion Pro do not require drawing skills. Hand drawing is great for showcasing artistic ability but using a digital design program is a requirement to be a fashion designer as stated by The US Department of Labor – Bureau of Labor Statistics. Digital Design Programs are the standard because of their clean lines, easily transmittable, ease of making changes to them, easy to store, easier to create a more realistic view of the design that mimics real life, cuts down on wastage when it comes to getting samples made & production. There are more reasons but this list is just to name a few. There are many dedicated fashion design programs and general graphic programs that can be used for fashion illustration and design. Most digital programs are capable of achieving the same professional results however the road in which you achieve those results varies. Example – with most programs you have to go to school to learn them or learn them on your own. So with that being said, there are many deciding factors on which program to use. Factors such as preference, features, capabilities, ease of use, up front cost, long term cost, learning curve and your fashion goals come into play. Another deciding factor is that although most can achieve similar results but at the same time some more than others can help you personally achieve professional results a lot easier. Keep in mind that just because a program can be used for designing clothing and fashion design does not mean it teaches you exactly how to create your own professional fashion sketches. This is one reason why Digital Fashion Pro stands out because it teaches you exactly how to design clothing. The DFP programs combines customizable templates, digital fabrics and fashion design course wrapped in one. Also consider that a program like Digital Fashion Pro allows you to easily design jeans, dresses, t-shirts, sneakers, heels, boots, jackets, coats, swimwear, suits, hoodies, rompers, handbags, hats, underwear, socks, button shirts, blouses and baby clothing. With most of the other programs you have to first learn on your own how to design these items whereas with Digital Fashion Pro you get the tools to do so right out the box. Using fashion design software is a must in fashion design. It opens up so many options to use fabrics, textiles, prints, artworks and more in your design. It is also easy to swap these items in and out in seconds to create the best versions / collection for your line. These things are hard to achieve when drawing by hand and take considerable time and effort. It is always fine to doodle your design ideas while you are on the go but when it comes to preparing your designs for commercial application, a digital design program is imperative. Note: The above programs all can generate professional fashion designs. Digital Fashion Pro goes beyond and gives you additional tools and training out the box that can actually help you learn fashion design as well as be in position to create professional fashion sketches. 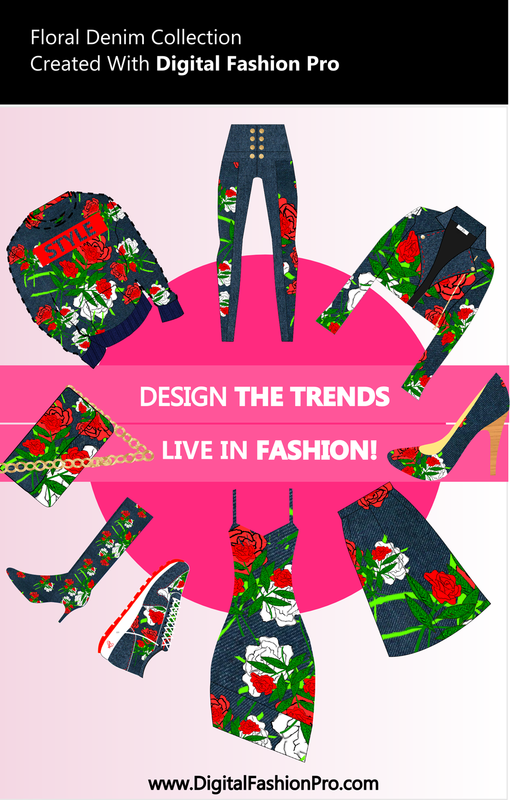 With Digital Fashion Pro you will be able to create your own designs within minutes. One key element of fashion design and illustration is the generation of artwork that will be used in and on a garment. Fashion artwork has many applications and practical use. Artwork can be used for embroidery, screen-printing, sublimation printing, heat transfers, appliques and 3d printing. Artwork can also be the driving force / inspiration that goes into hangtags, labeling, prints, textiles, garments, handbags, shoes and more. A great fashion design could mean millions of dollars in profits. Fashion design is big business as the fashion industry generates hundreds of billions of dollars a year in profits in the USA alone according to a US Senate Member. With the social nature / reach of the internet – it is now possible for any fashion designer to engage in global business. 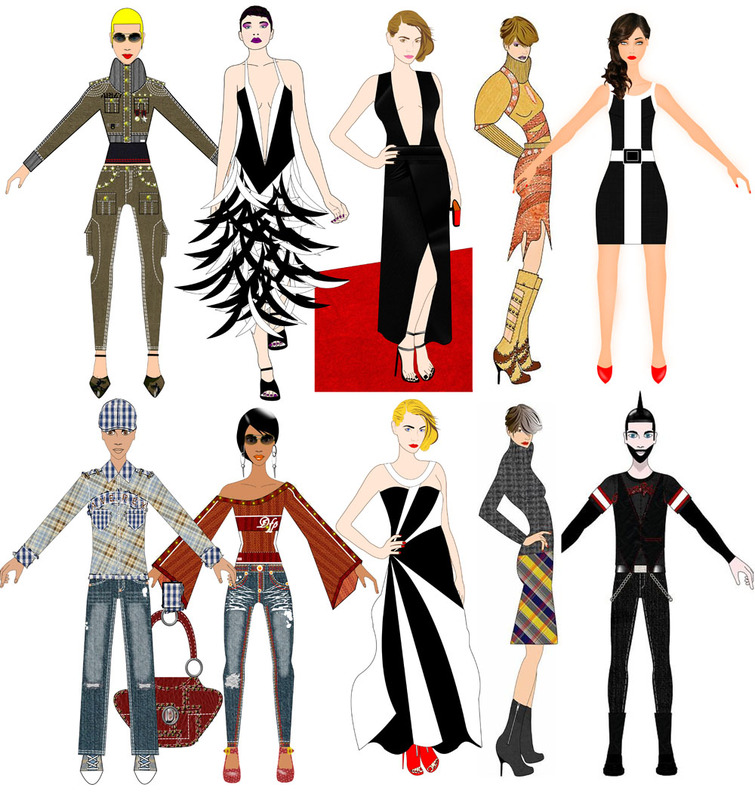 Fashion Design & Illustration are critical components when designing your own clothing line. Fashion Design is the foundation of any clothing line. It plays a part in virtually every aspect of running a fashion line. Whether it is designing a t-shirt, button or even a hang tag – professional fashion illustration is a must. In large companies, there are many hats to wear under the fashion design umbrella. You can have titles like: menswear designer, women’s wear designer, t-shirt designer, children’s wear, couture, costume designer, accessories designer, technical designer, graphic designer, textile designer, footwear designer, chief creative director and more. When you are an independent line, you may be responsible for each of these duties where applicable. There is help for people who want to start their own clothing line but are true beginners. One such resource is the Fashion Mogul Clothing Line Start-Up Kit from StartMyLine.com. 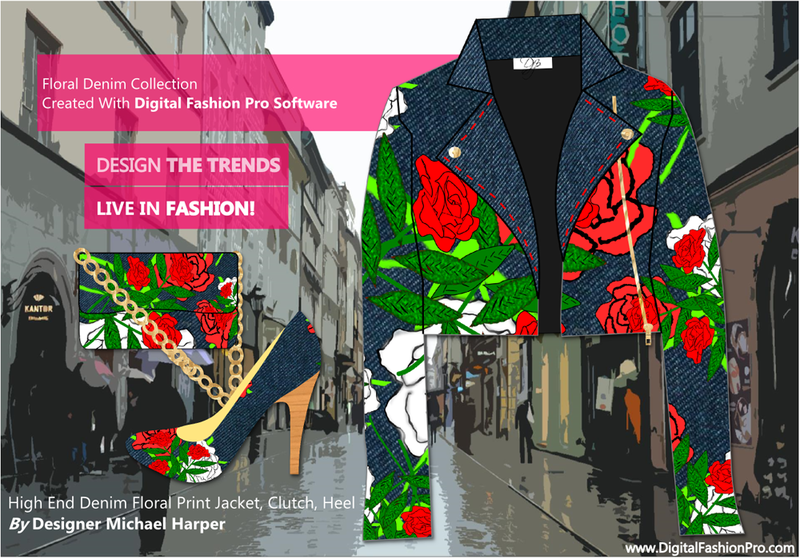 Learn More About Designing Your Designer Clothing Collection With Digital Fashion Pro Software. I tried to figure out how to jump into this article without coming in splashing but for some reason I could not find the angle to soften my position. This is a message geared toward new clothing lines. In today’s marketplace, it is more important that you take design chances that go beyond slapping the name of your clothing line across a generic T-shirt or Sweatshirt. Often new designers who may be low on funds, but at the same time, they want to get their feet wet in the fashion industry, will just buy blanks and write their clothing line name across the front. While you may think your name sounds so good that it alone will sell your shirt; you may just want to think again. Most of these type of styles will only appeal to people you know. The chances of your line being picked up by clothing stores is pretty slim to none. The hottest stores will more than likely decide to pass on carrying your t-shirt if you just have “Blah Blah Apparel” across the front. I would really urge you to do some real designing that goes beyond just typing your name across the front of a blank. Actually design the hoodie itself by adding your own special seams, cuts, stitching, colors, fabrics etc. If you are going to work with blanks then make sure your artwork is fantastic! Make sure consumers can see your design aesthetic. Prospective buyers want to know that you are a serious designer and you take the art of fashion serious. Even having one spectacular piece will take you miles ahead of the person with the white T-shirt with “Blah Blah Apparel” across the front in black. I have bought t-shirts from plenty of unknown companies just because I like the artwork or maybe the shirt itself had a special design detail. Be creative when you design. Have fun with it! Study how to do specs and choose fabrics. Order a small production run of the style and have it made from scratch. The key to fashion is to stand out. This process makes you a genuine clothing line. It is a rite of passage. People always you say how they loved our tees. We had a special formula for our fabric that was delightfully plush and felt so good against the skin. Then we added creative artwork on top of that. It was and is still a beautiful combination. If you want to go beyond just a cult following of friends, family, neighbors or an organization you belong to, then you need to really dive off into your creativity. I remember when we started our first clothing line many years ago. We came out of the gate swinging by designing our own contemporary athletic wear line from scratch. We put much emphasis on the actual garment design which led to our line getting the immediate attention of magazines and retailers around the country. The garment design came first and our name came second. That is the order of importance that every new designer should seek. Putting your name on a blank just doesn’t cut it and it will not get you noticed. Even coming out with a slogan driven shirt is better than just only putting your clothing line name on a shirt. You could even do a sublimation design that has a full coverage print on the shirt. There are millions of prospective buyers that want to be on the cutting edge of fashion. They don’t mind investing in pieces from unknown designers as long as the designs are unique and cool. That uniqueness has to go beyond just your brand name. You are virtually unknown at this point. Your brand name carries no equity. They can buy a hundred unknown t-shirts with a random brand name across the front of it. There is nothing in this type of design to make your line stand out. Give them a reason to say, “I really like this design, I want to rock this.” That is how you get trendsetters on board to reach for their credit cards and buy your new style. Don’t try to tie in a cause or charity into your plain t-shirt company with your brand name across it to get people interested in your line. That my friends is not building a clothing company. That simply is working to support a cause. I can’t tell you how many times I come across a company trying to do this because they think giving people added motivation will help people pull out their wallets to support a weak design. If you are a fashion company – then fashion comes first! Create a beautifully designed piece from top to bottom and then it is okay to add that you support a cause etc. When you design, ask yourself – “Would a fashion magazine editor or fashion blog feature this piece in their hot new style feature based solely on my design?” This statement just means that if you have a shirt with your name plainly wrote across the chest, it is not very fashion forward. We had a few magazines feature 2 of our very first 4 styles we released. The reason was because we did a very fresh take on a current fashion trend which made our pieces garner attention. All in all, this is not to say that your brand name should not appear anywhere on your design. It is just stating that your brand name should not be the star of the show. 2. If you have it manufactured you can have different cuts, multi-color body, stitching etc. 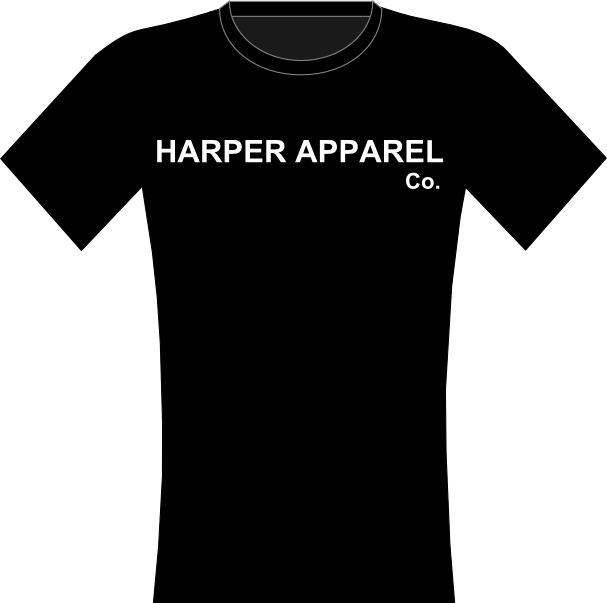 Look at the image I put up of the Harper Apparel T-shirt. You have to ask yourself, why would people care about my t-shirt? Sure, my mom loves it. Sure my friends may love it. But why would the retailer downtown love it? Would a customer in another country love it? Would a fashion magazine editor find your piece editorial? Why would they care? If you have to begin your story talking about your personal struggles, or that you don’t have experience, that you are self-taught, or that you are just doing the t-shirts to promote a cause then you have not given your designs a life of their own. The method of just putting your plain brand name across the chest probably only works for celebrities. As an ordinary person or line, you are held to a higher standard when it comes to design. Often new designers think they need many pieces and a large collection to break into the fashion industry. In reality, you should focus on one style and become great at it. 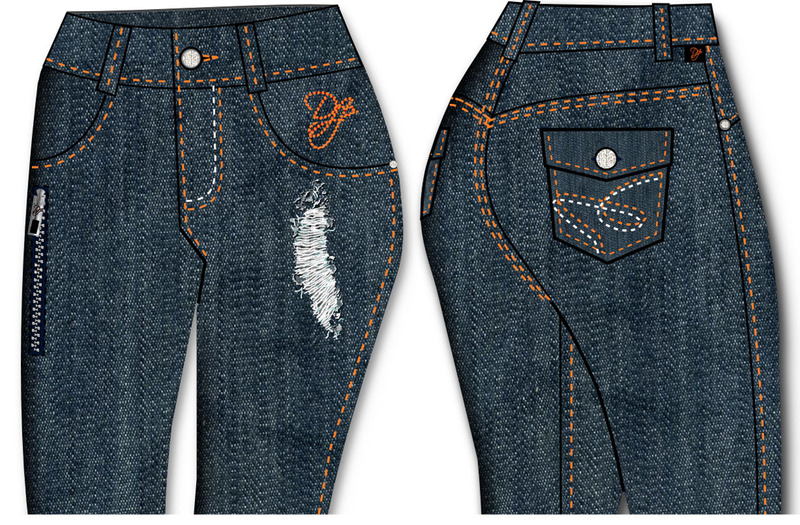 For instance, if you do jeans – do jeans. If you create t-shirts – stick to t-shirts. Don’t try to do too much because it will prove expensive. Narrowing your focus will help you keep cost down as well as allow you to become an expert of the style you choose. For example, say you decide to use the same dress silhouette over and over but you add beautiful prints to each rendition. People will love you for your beautiful prints and you will establish an identity for your brand. Then from there you can branch out. In close – Stand Strong In Your Design & Creativity and You Will Be One Style From Touching The World! We wanted to take a little time to give you an inside review of Digital Fashion Pro Fashion Design Software Program. 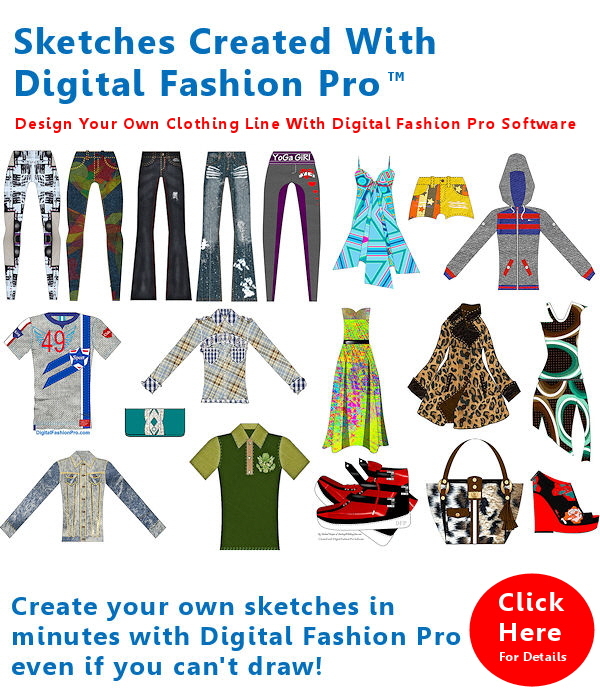 In case you don’t know Digital Fashion Pro is a fashion design tool that helps many fashion designers design their clothing collections and create their garment sketches. This review is not about the features of the program because you can read about those on the Official Page for it. This review is about what makes it a great program to use. The first thing to know is that it is highly affordable especially for a tool that delivers professional results. Consider the fact that many other programs cost more and some even have monthly and yearly fees. With Digital Fashion Pro you pay one time and you have a lifetime license. The next thing is the program is more than just a software. It comes with a fashion course / basic fashion design training that really teaches users how to create professional fashion sketches. Many times you can look at the sketches or artist renderings and wonder how easy or hard is it to make the same thing. With Digital Fashion Pro it is a guaranteed that you will be able to make professional caliber sketches right after training. Digital Fashion Pro comes with customizable garment templates. This is really awesome because it gives you a framework in which to create your designs from for uniformity. But the other cool thing is all of the templates can be stretched, shrunk, modified, altered etc. so that you can make the design your own. This also cuts down on repetition in the design process. For instance, do you want to keep drawing the same jean outline over and over just to add your design or a new fabric choice? Or do you want to be able to have the framework set and you just proceed right to the design aspect. Another awesome point about Digital Fashion Pro that users and we love is how you can incorporate digital fabrics into your design. While certain pages come with more fabrics it is also terrific that you can add your own. For example say you have a certain print that you are using for your collection. What if you have a certain fabric or knit that you will using for the season? Once these items are scanned in or are already in digital format – you can easily incorporate the fabric or print into your designs. This allows you to see how the design will look on a garment. To further the last point, you can also add artwork and logos. So if you have a logo or artwork you can put it on the templates. This accomplishes two things – you can see how the logo will look on the garment. The 2nd thing is you can play with placement and scale. Both of these points come in very handy and are almost impossible to do by hand unless you have a lot of time on your hands. Another benefit of Digital Fashion Pro is how it helps you plan your collection. You can experiment with so many different elements of your design from color choices, fabric choices, logo placement, slogans etc. It helps you with selecting which version or versions of your designs you want to produce. Just recently I was designing some Tees and had a few versions. I asked a few fashion bloggers which one they liked the best and interesting enough – they all chose the same one. That told me that was the one I should produce. Interesting side note; the one they chose was not the one I was originally going with. Having multiple versions and the ability to share them with others allowed me to get better feedback on which design I should invest in. Another point about Digital Fashion Pro is you will be creating manufacturer-ready sketches. This is important because manufacturers prefer cad sketches over hand sketches. There are many reasons for this including digital sketches are cleaner, more professional and in many cases represent the vision more accurately. This allows the manufacturer to have a better understanding of the design so that they can make it with a better degree of quality. Also keep in mind that with Digital Fashion Pro you will mostly be making detailed practical designs that resemble how a garment will actual look. Compare that to many hand sketches that mostly are to promote the artistic ability of the artist with sketches that are artistic in nature. For manufacturing, artistic sketches are not the standard or recommended. Practical designs that help a manufacturer or sample maker know how the design should really look are the most helpful. Detailed computer sketches are the standard in manufacturing. The fashion design course aspect of Digital Fashion Pro actually goes beyond basic training. Users learn so many useful things about design and designing a clothing line. While there is the basic training which is very detailed, there is also additional advance training that teaches some really cool design techniques + basic graphic design. 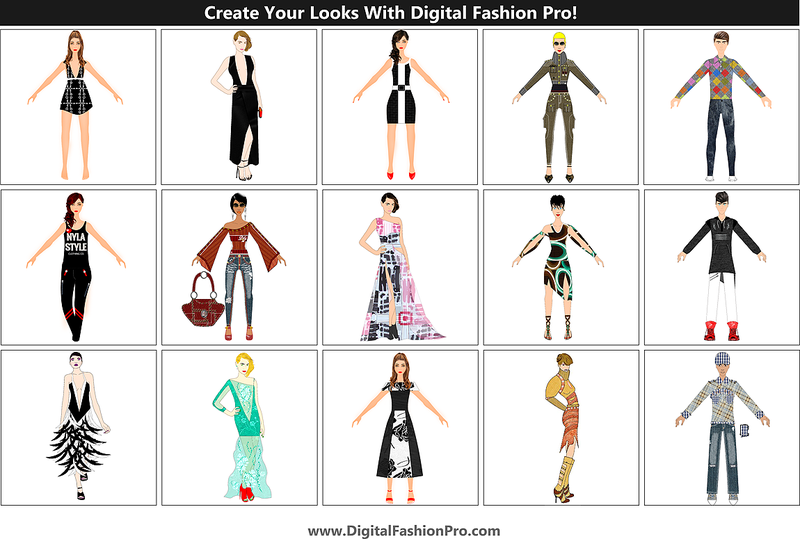 Again for the price, what you learn and all of the features – Digital Fashion Pro is a steal. Digital Fashion Pro puts users in position to create professional sketches which I believe is the most important benefit. 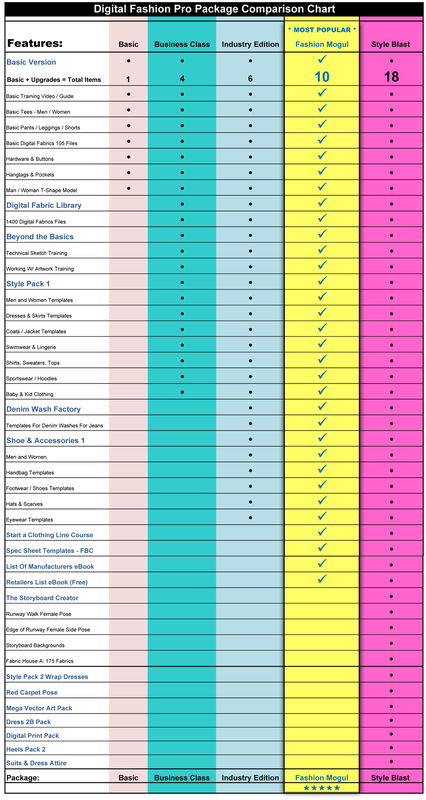 Digital Fashion Pro must have upgrades are Beyond the Basics (Technical Sketches), Style Pack (More garment styles), Digital Fabric Library, Mega Vector Art Pack, Designer Series 1 and 2. These are some of my favorite upgrades. The Designer Series templates are really neat. This series mostly follows current fashion trends and have templates with a little more detail and most are styled. When you add fabric and design to them they look really nice. These are just a few reasons why I love Digital Fashion Pro. Of course there are many ways to create a sketch. Digital Fashion Pro is one of the best ways to do it. It is super easy to use even for beginners which is another plus. I highly recommend it especially for beginners who are starting a clothing line. The example sketches speak for themselves. See what other clients say about Digital Fashion Pro. For More information on Digital Fashion Pro visit the Official Digital Fashion Pro Page.